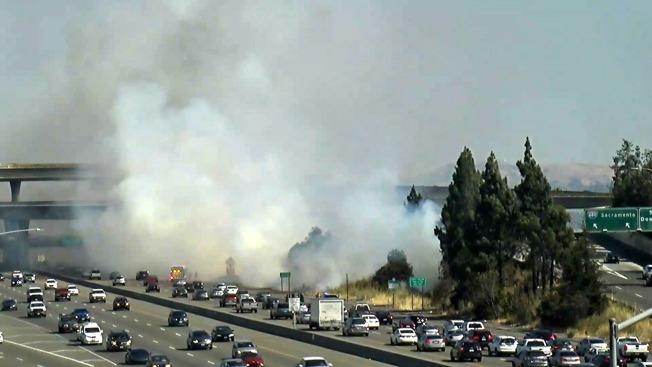 A brush fire burned along southbound Highway 101 in San Jose Saturday afternoon. The blaze ignited just below the intersection of Interstate 680 and Interstate 280 with Highway 101. Thick smoke could be seen billowing from the blaze and impacting traffic for multiple hours.